How the information you provide on this website is used, such as registration and survey details. The Faith Survey website (faithsurvey.co.uk)* is a website run by a single individual for non-business purposes to enable users to complete surveys. For those surveys which require an email address, the results of the completed survey will be emailed to the user. The website is commited to ensuring that your privacy is protected. Your personal information will not be sold, distributed or leased to third parties. Any information you provide by way of completing a survey will be held in a secure database, protected behind a firewall. Such information is only viewable by the webmaster and may be used to generate reports, none of which will contain any information that may personally identify you. From time to time, these reports will be updated and may be viewed on the results section of the website. The information gathered will be retained for as long as is required to generate report data. » More about SSL (Wikipedia). You may opt in to receive a newsletter via a form on this website, which will inform you of updates and other items which may be of interest. Should you no longer wish to receive such information, you may unsubscribe by either (a) emailing the webmaster (see the link at the bottom of this page) or (b) clicking the unsubscribe link in the newsletter itself. * Also faithsurvey.org, which redirects to faithsurvey.co.uk. How may I contact you regarding the use of my personal data? If you have any questions regarding how this website collects, stores and handles your personal information, please email your enquiry to the webmaster. » More about Cookies (Wikipedia). A cookie used as part of enabling the text size on the page to be dynamically altered and the setting saved. A cookie used to store the setting when switching between the desktop and mobile versions of this website. 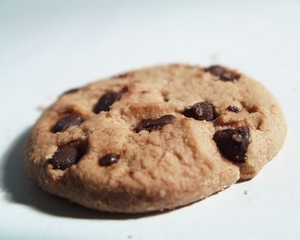 A cookie used by Google Analytics which collects information about how you use our website e.g. which pages you visit, and if you experience any errors. These types of cookies don't collect any information that could identify you - all the information collected is anonymous and is only used to help us improve how our website works. A cookie used to allow you to complete each survey only once. Why Sign Up/Register on this website? Registration on this website (faithsurvey.co.uk) is FREE and purely optional. It is also not required to view the site nor participate in any of the surveys. However, by registering it enables us to keep you updated with information such as occasional newsletters and additional surveys that may be added to the site itself. What information do you require for registration? We require just your name and email address. How may I contact you regarding registration? For any enquiries regarding registration/de-registration, please contact the webmaster.